Did you watch the Oscars? 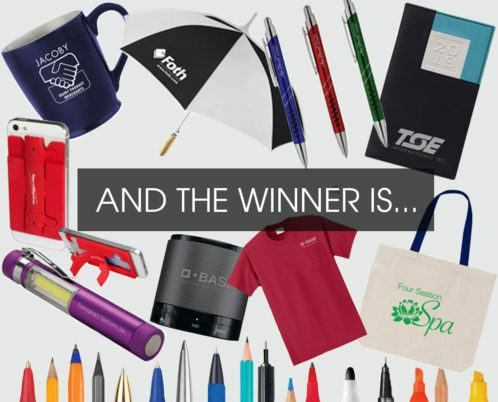 The Academy members got their votes in for the best of the best in the film industry so we’re recognizing our own best of the best in terms of promotional products for your business. Here’s a look at some of our award winners. Whenever your customers need a bit of extra light, your business will come to mind. Branded flashlights are great giveaway items because your customers are likely to use them on a regular basis, reminding them of your organization each time they do. Pens that just write are a thing of the past. Our multi-function pens can multitask with the best of them, incorporating screwdrivers, a touchscreen stylus, a level, rulers and more. The more times prospective customers see your brand name, the better they will remember your company, so the more functions an item has, the better. It’s difficult to predict when a rain storm might strike this time of year, so your customers will love you for providing them with the protection they need when the skies open up. Our high-quality sport umbrellas cover a large area, keeping your customers comfortably dry while promoting your business. These products are sure winners in our book! Do you have a favorite promotional item? Myron offers a variety of other promotional products to suit the needs of any business small or large. Call us today to start designing the perfect, unique promotional item to market your business.